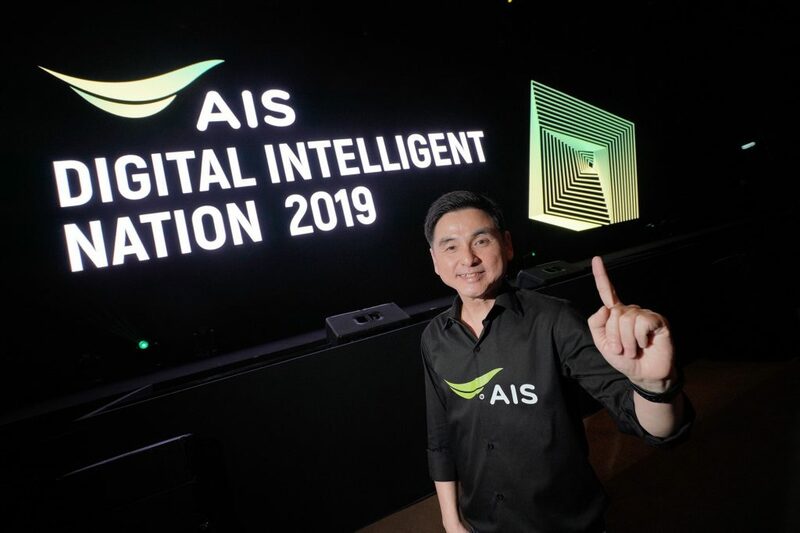 1 February 2019: AIS has unveiled its vision for 2019 with the goal of driving the Digital Intelligent Platform as the basis for developing innovation and digitalization in Thailand, and especially Artificial Intelligence (AI), Machine Learning, Robotics, and Internet of Things (IoT). The platform aims to reinforce capability and enhance the competitiveness of the public and private sectors. In addition, AIS is determined to be the center for providing all sectors with the necessary knowledge to prepare for changes in the world, whose economic system is now being driven and reshaped by digital technology. 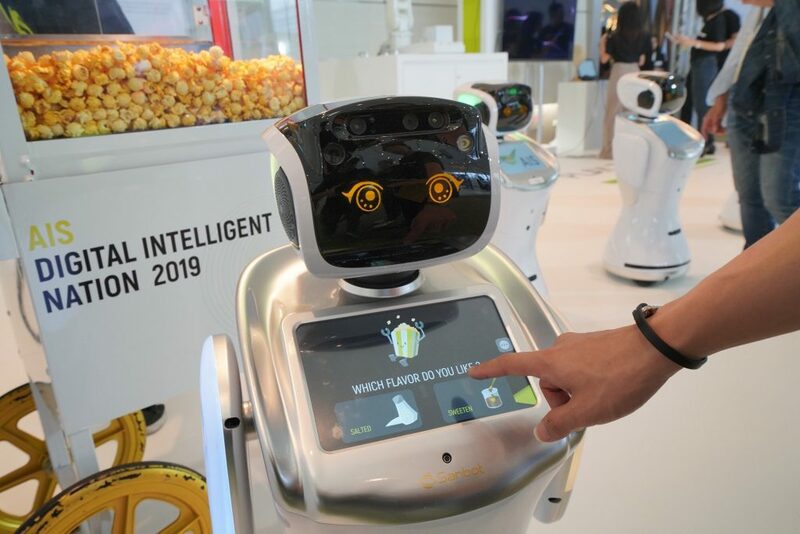 A recent seminar titled ‘AIS Academy for Thais: Intelligent Nation Series and AIS Digital Intelligent Nation Showcase’, demonstrated these advanced technologies, among them robotics, self-driving cars, and intelligent IoT devices. 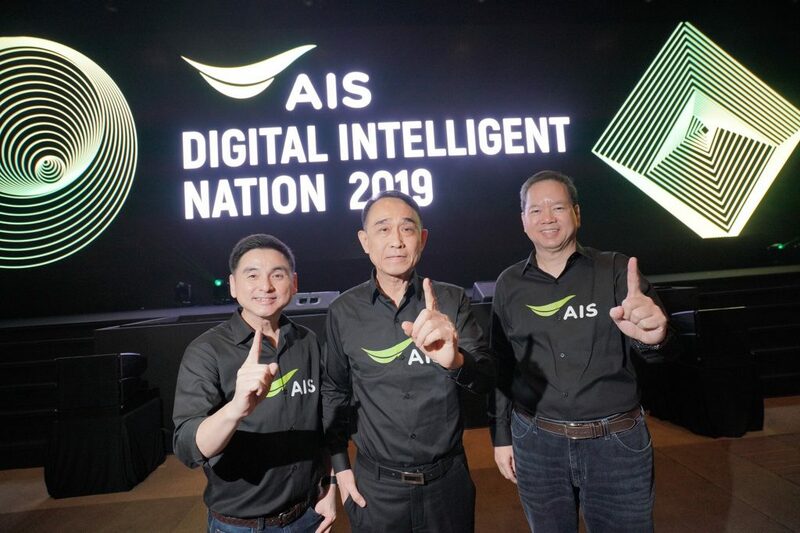 The AIS management team led by Mr. Kan Trakulhoon, Chairman of the Board, Somchai Lertsutiwong, Chief Executive Officer and Mr. Hui Weng Cheong, President, announced the company’s vision and its readiness to be the Digital Platform that plays a role in driving the country’s growth. Mr. Kan emphasized that this year would see a new chapter in industrial transformation affected by AI, Machine Learning, Robotics, Data Analytic and IoT. The technologies have changed the whole face of industry and are redefining lifestyles, work and interaction; disrupting economic and social models, as well as creating new opportunities for both enterprises and the national economy. An innovation and digitalization-driven economy is key to a strong Thailand 4.0 and a Digital Intelligent Nation. As a leading digital technology service provider, AIS is ready to perform this mission. Mr. Somchai added that AIS has expanded its role to become the Digital Platform of Thailand. The company allows all parties concerned to connect and work together an ecosystem format, enhancing the capability to create innovations and digital services. For instance, the AIS IoT Partner Program (AIAP), a collaborative project between AIS and its allies from every party involved in the IoT ecosystem, was launched last year and has successfully developed IoT solutions and business models that perfectly meet the management system. Now, the AIAP is expanding its alliance network to over 1,000 members from its original core of 70 members. Mr. Hui noted that AIS is constantly developing its digital network with the largest bandwidth frequency of 120MHz (60MHz x 2). This year, AIS has deployed the latest technology WiFi6 (802.11ax) to provide AIS Super WiFi+, offering customers a maximum speed of up to 4.8Gpbs. The AIS Super WiFi+ offers 8 times higher capacity for connecting devices and respond to the growth in the IoT. For Fixed Broadband, AIS continues to expand service areas and strengthen ICT (information and communications technology) for businesses via its subsidiary CS LoxInfo in terms of One-Stop-ICT Services. 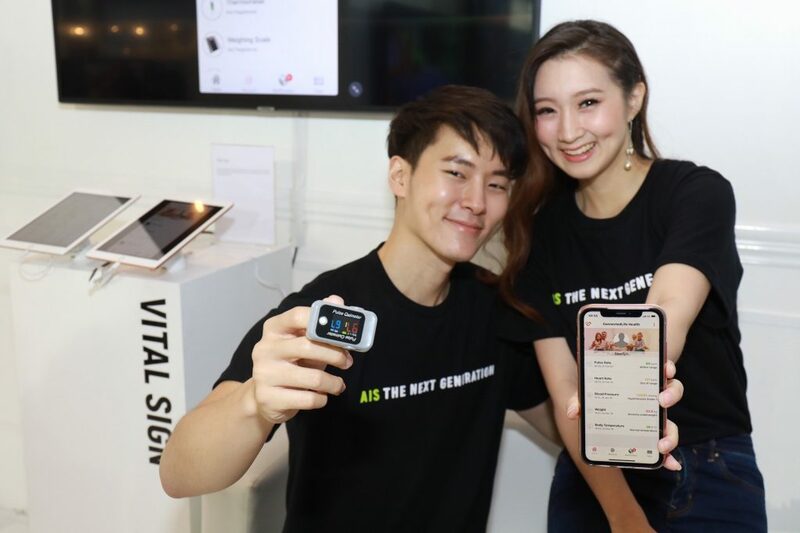 Through an earlier study and research into 5G technology, AIS earned the support of the National Broadcasting and Telecommunications Commission (NBTC) and leading educational institutes such as Chulalongkorn University and Prince of Songkhla University. This ensures that the company will have greater expertise and the capability to promptly apply for services when 5G technology arrives. Mr. Hui added that AIS has already adopted AI, Machine Learning and Robotics to provide services for customers. 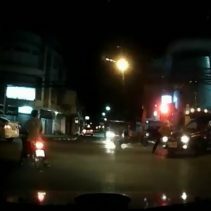 This year, the development of these technologies will be clearer under the concept “Unmanned Service”. Customers can experience new services throughout the year. In conclusion, Mr. Somchai said: “Not only are we creating and developing the Digital Platform, we are also placing great importance on all aspects of human resource development through the AIS Academy. 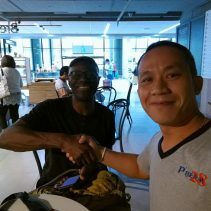 The company is ready to provide knowledge and enhance the Thai people’s awareness of the global changes in the digital era. To do this, the company organized the ‘AIS Academy for Thais: Intelligent Nation Series’, bringing together local and international speakers from among the world’s leading experts. The event demonstrates the collaboration among the parties in exchanging the ideas, skills and the potential of each organization. 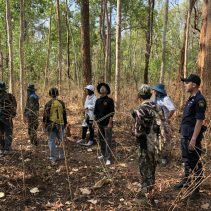 The seminar supports the creation of an ecosystem to widely disseminate knowledge, techniques and practices in Thai society. AIS will serve as a medium to promote technologies, human resources, experts and experience for corporate transformation. The company aims to reinforce the potential of Thailand to be competitive in the world arena. “In addition to knowledge, technology awareness is also critical, as digital technology will not only deliver huge benefits but also cause losses. AIS therefore is determined to act as network educator by delivering Digital Intelligence Quotient or DQ to the young people. Moreover, AIS has developed Network Protector to help protect, encourage awareness and boost immunity of the young people. This initiative is designed to cultivate and develop their technological skills which will empower the next generation of digital citizens appropriately. These are our goals to prepare Thailand for bringing digital technology to further create benefits and sustainability”.